When a newspaper advertisement for a bridegroom nets London's most famous actor, a shy, sheltered heiress risks all to be with him in a mad dash to elope, escaping her overbearing family's plan for an arranged marriage. But does the actor with the voice of honey have far too many secrets to make a safe happy match? A friend's newspaper advertisement for a groom nets the most famous actor in London, Arthur Bex. 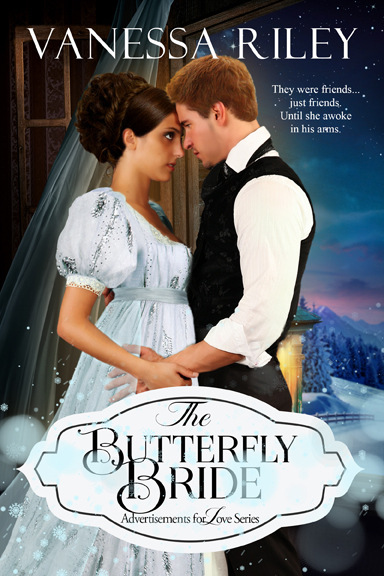 Shy heiress Ester Croome proposes to elope with the handsome man, who she's secretly loved for two years, in order to escape an impending engagement arranged by her overbearing family. Trying to outlive the shadow of his infamous slave-trader uncle, Bex needs to marry quicklyto a woman of good character. And smart, beautiful Ester fits the bill. But a harrowing trip to Gretna Green and dangerous abolition rallies prove to be a more treacherous stage than either imagined. Infatuation and a mutual love for Shakespeare might not be enough to bind a couple looking to outrun the chains and secrets of family and the past. 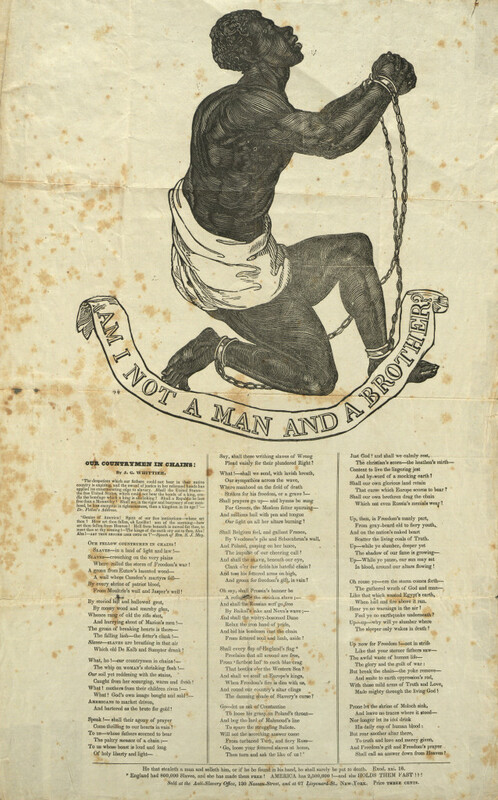 The illustration Am I Not a Man and a Brother?, was the seal of the Society for the Abolition of Slavery in England in the 1780s. The image of the supplicant enslaved man in chains was an effective tool for anti-slavery activists. 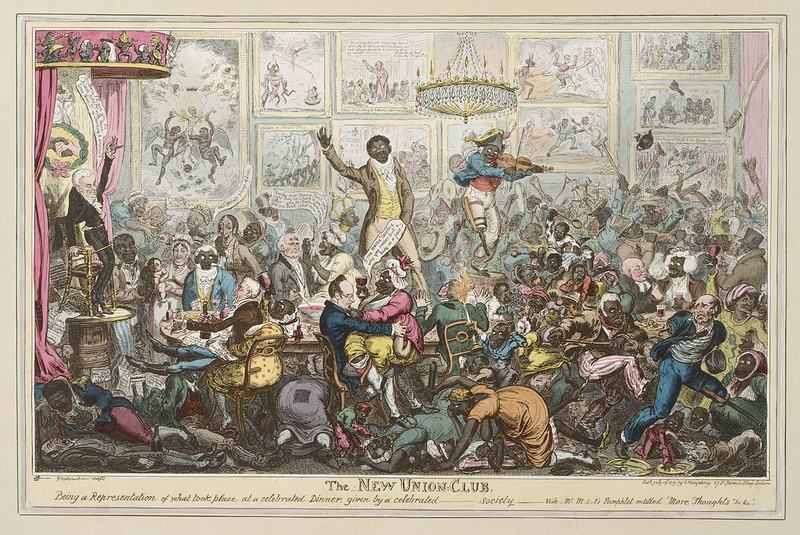 It was designed by Josiah Wedgewood, 1787. 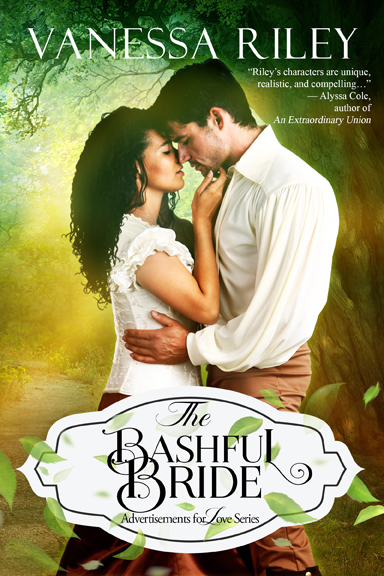 Reviews on The Bashful Bride. 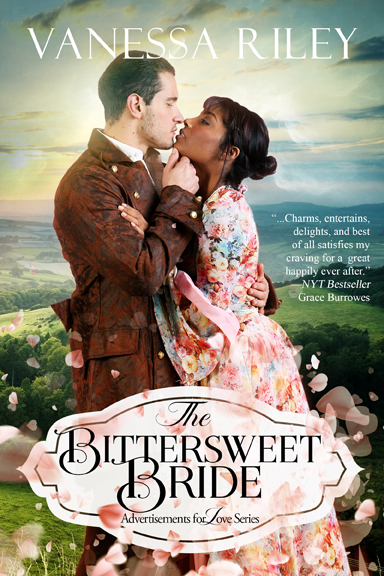 Entertainment Weekly - MAUREEN LEE LENKER May 30, 2018 Vanessa Riley crafts a highly historically accurate Regency interracial romance heavy on plotting and crisp detail. 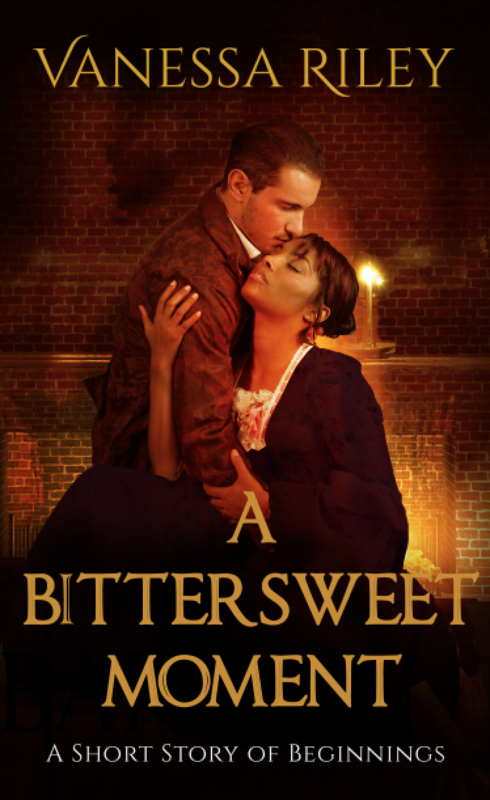 NPR -MAYA RODALE June 16, 2018 "While this is a historical romance that doesn't shy away from grappling with issues of race, it always keeps the focus on the love and passion blossoming between Ester and Arthur." Watching her father, the great Chief Zifihlephi decline, reliving daily his disgrace has filled Thembeka, Princess of the Xhosa with rage. She will not rest until all who have plotted against his crown are destroyed. Shell even work with the English dogs to gain the advantage. Yet, what more is she willing to sacrifice to gain revenge, her dignity, her heart, or her life? Hiding from scandal, Percival Theol, the black sheep of the English Prime Ministers family has been sent to his uncle in Port Elizabeth on a mission of redemption. Trying to hide in the shadows is impossible when an irresistible challenge is set in front him, one with eyes of bronze and a determination as strong as diamonds. With everything at stake in the escalating tensions of the Xhosa and English, is he willing to be a traitor to his country or his heart? To learn more about my upcoming releases, sign up for my Newsletter. Look for the cover reveal.